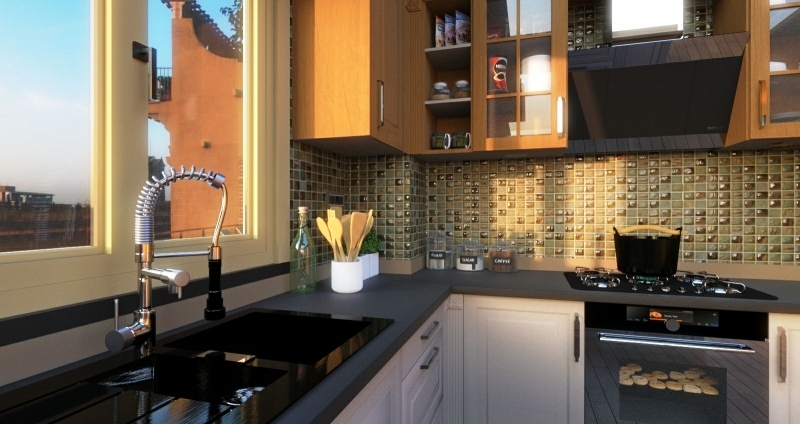 In this insight we’ll be analyzing how to design a kitchen in a correct way. We will look at standard kitchen sizes, along with some useful rules that will help you design a practical and functional kitchen. The key to a well-structured and highly organized kitchen is planning the space and the location of the most important appliances to enable frequent tasks to be completed comfortably and efficiently. 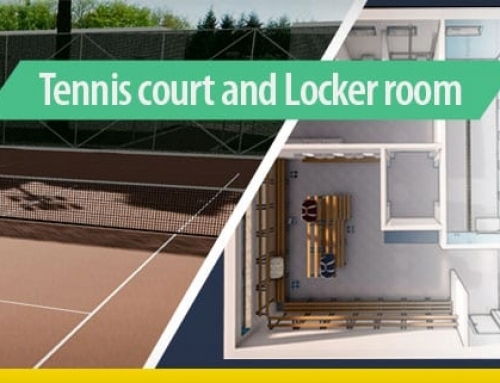 DWG layouts with floor plans and sections of different types of kitchens together with 3D models in EDF format are ready for download and can be a useful reference for your project. 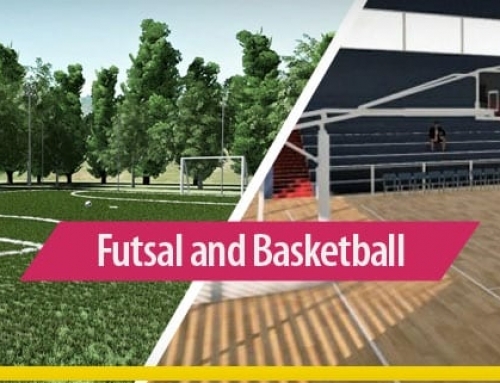 Similarly, you can even open the 3D models of the project in the EDF file format created with Edificius, the software for architectural BIM design that allows designers and AECO professionals to adopt and verify immediate and easy solutions. Download the full version 30-day free here. How to design a kitchen: what is the Work triangle? 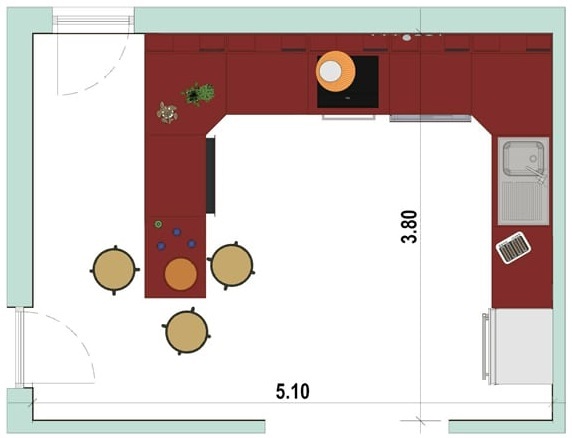 The space planning has become known as the “work triangle”, which is the area of activity where the tasks carried out in a kitchen involve the sink, the stove and the refrigerator. The primary idea is that these three elements, connected by imaginary lines, are in close proximity (but not so close) to one another. Hence, the work triangle is designed to minimize traffic within the kitchen and to facilitate the access to the three appliances when cooking. The NKBA (National Kitchen and Bath Association) suggests some guidelines regarding how to set up a work triangle efficiently. 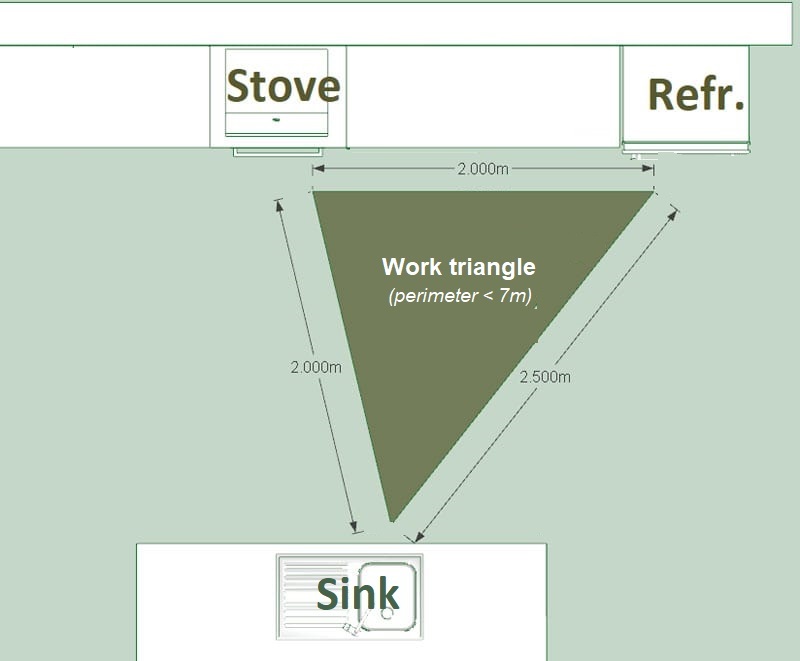 It is recommended to keep the work triangle distance between the sink, fridge and cooker at 7 m (= 23 ft) or less. Work triangles that exceed 7 m/23 ft make moving from one function to another unpractical. The ideal length of the work triangle lies between 4 m (13 ft) and 6 m (19 ft). Further on this article, we will indicate measurements only with the Metric system (considering that 1 ft = 0.3048 m = 30.48 cm and 1 m = 3.28 ft). In addition, the kitchen work triangle is a concept used to determine different types of kitchen layouts that would be both aesthetical and functional/efficient. Further, let’s see some examples of kitchen design. A single wall layout has all the appliances, cabinets and countertop installed along one wall. This option implies the smallest possible footprint and allows to perform all tasks in a single workspace. 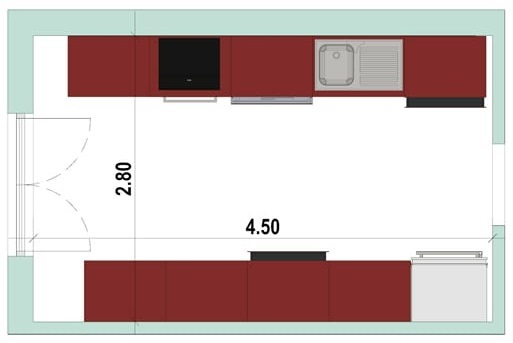 A galley layout consist of two parallel lines of units forming a central corridor where to work. It is ideal for space saving and enhances efficiency during cooking. 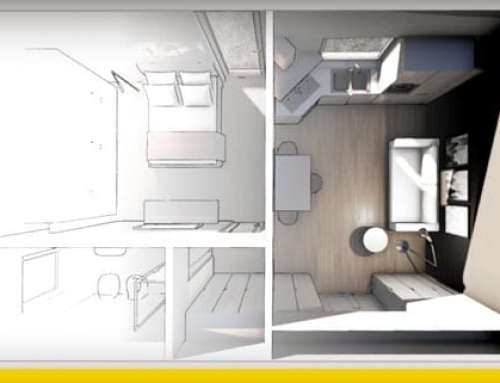 Ensure 1.2mt (3.9ft) space down the middle of the units to move comfortably and for opening cupboards. 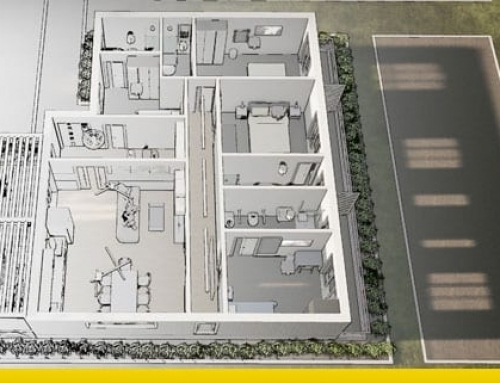 The L-shaped kitchen layout is one of the most popular and classic type of plan. It features two walls that form a perpendicular angle, maximising corner spaces while eliminating traffic. 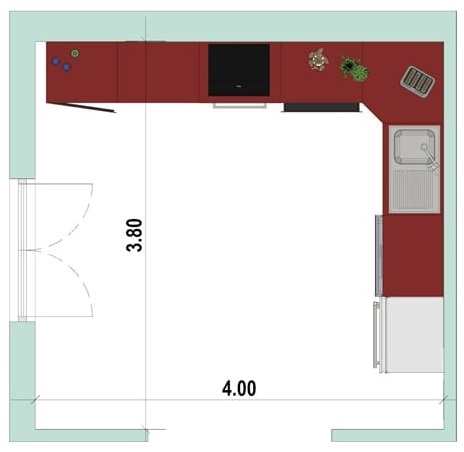 The L-shaped kitchen offers a good option for the working triangle, especially if you position the sink halfway down one side of the units. 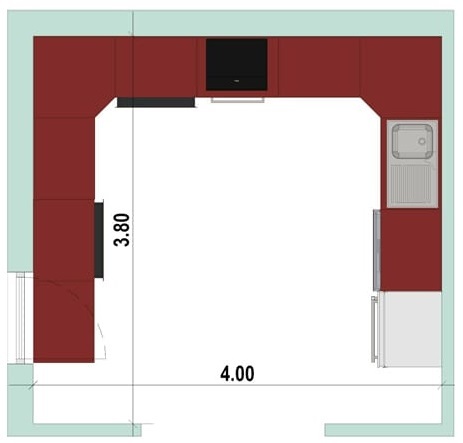 The U-shaped kitchen plan also provides a good layout for the working triangle and allows good storage, while offering three sides or walls. It works good for both small or large kitchens. The island design is very useful for larger kitchens where units are placed around a perimeter. The island provides storage, seating or even a food preparation area. 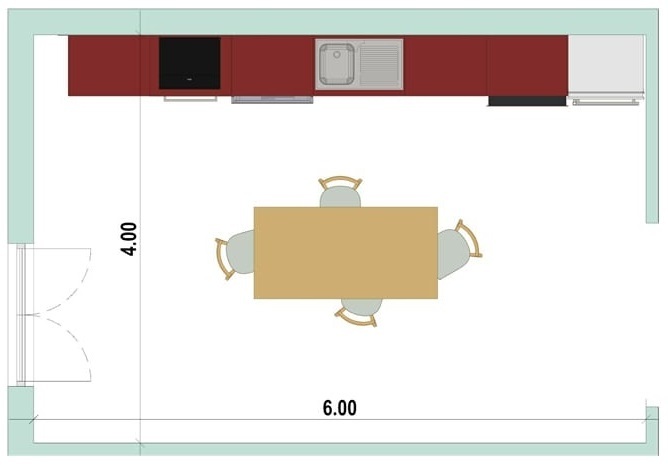 In kitchen terms, a peninsula is similar to an island, but instead of standing free, one end is attached to the wall, serving as extension of the kitchen layout. Peninsulas are commonly seen in L-shaped or U-shaped kitchens within a larger space. This type of design features functional units along one wall and one window and a peninsula that continues with no need for a third wall, thus leaving one side exposed. Measurements are usually relating to appliances and units and are often designed with standard dimensions so to fit the kitchen furniture. Base modules have a standard depth of 60 cm. This measurement takes into account that the sides have a width of 58 cm and add another 1.8/2.00 cm for the thickness of the door panel. 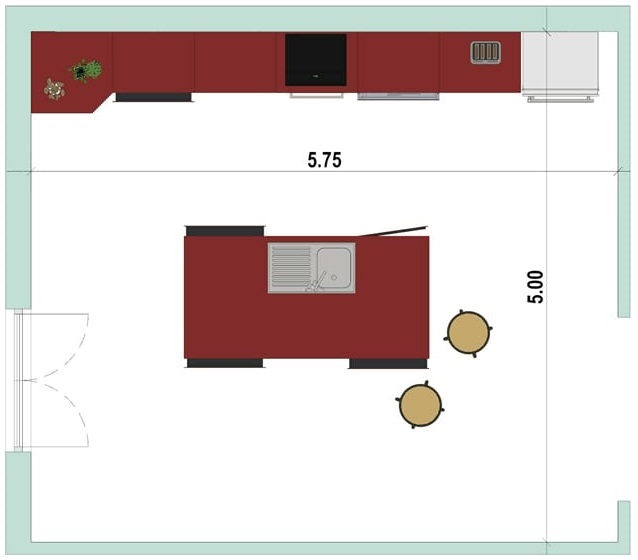 A working island will also have a minimum depth of 60 cm while a wall unit of 30 cm. Cabinet heights generally reach 72 cm plus the support leg height while wall unit measurements range between 72/90 cm. In case of upper wall cabinet modules, these must be placed at a height of 140-150 cm from the pavement level considering the bottom panel. The working side of an island unit should match the height of the kitchen worktop. The standard widths of a module are variable and depend on the use that each module has. Typically they measure 30 cm, 45 cm, 60 cm. With regard to appliances, the modules are generally 60 cm and 90 cm for cooktops, sinks and ovens. The most widely used materials for each element of the kitchen are those listed below. There are some fundamental design principles when it comes to planning a kitchen that should be considered. However, a simple kitchen refresh with new units won’t generally require approval, unless knocking down a wall, moving sanitary fittings such as the sink or carryout out electrical works and ensure the room to have adequate ventilation and drainage. In the U.K., works to refit a kitchen doesn’t generally require approval from local authorities and building regulations, although approval is likely to be requested for drainage, electrical works or if you install a new gas appliance, under UK Building Regulations. Moreover, you might still need planning permission, even for not listed homes, when altering the existing layout, therefore, changing the external house appearance, and moving a wall or a drainage. The leading source in the USA is the National Kitchen and Bath Association (NKBA) for kitchen design information providing the essential rules and guidelines together with the most important aspects of kitchen planning, including layouts, proper materials, lighting and other technical aspects. With regard to electrical circuits and devices, most local codes follow the NEC, the only electrical code in the USA that covers lighting, switches, receptacles and other appliances. Household appliances and electrical installations are one of the areas where the use and importance of standards is noticed in everyday life. European Standards on the safety of household and similar electrical appliances are continuously adapted in order to fit with the latest technological changes. More than 20 CEN and CENELEC Technical Committees are developing European Standards ensuring high levels of performance and safety. for design, correct use and verification of all kind of electrical installations at supply voltage of up to 1 kV a.c. or 1,5 kV d.c., except those installations covered by the following IEC committees: TC 9, TC 18, TC 44, TC 97, TC 99. 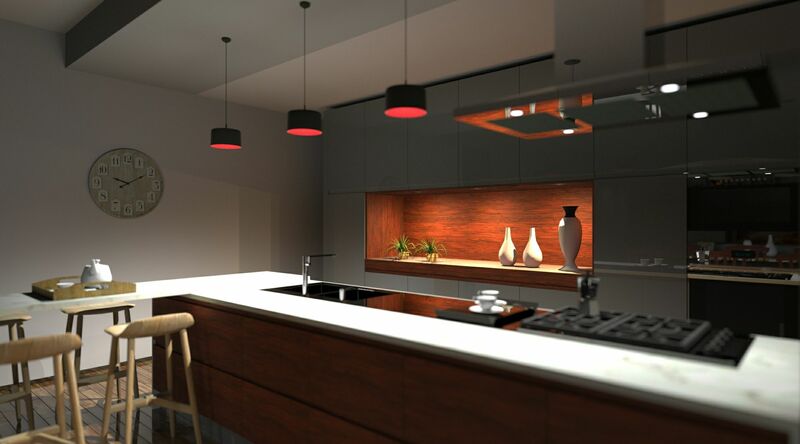 Good lighting is essential in a kitchen and must be considered alongside a basic layout. 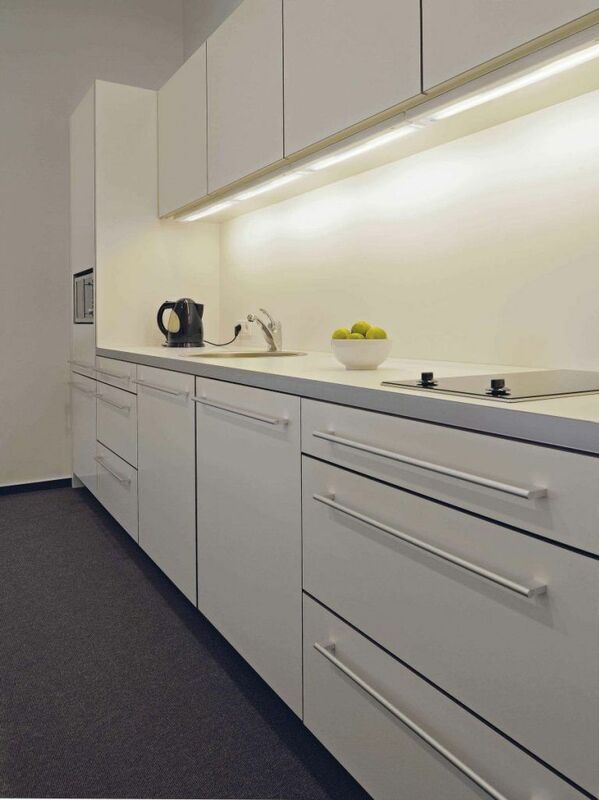 Lighting systems need to have at least two elements: bright, shadow-free task light for cooking and atmospheric lighting to create a relaxing environment. Think creatively where you want to put your light sources. For example, downlighters work well over islands or uplights that are incorporated to the tops of cabinets. It is always useful to have lighting under the wall units to light up the preparation area and worktops. Finally, light colour choice is an important aspect that shouldn’t be neglected as it can impact dramatically on your scheme. While you may want LEDs to give off cool white light above worktops, warm whte is much more relaxing for the dining area. Modern kitchen ventilation is achieved using a cooker hood, however on occasion extra ventilation is required. An important step in designing a well ventilated kitchen is, for example, choosing a spot for the kitchen range. Since the range is the primary source of fumes, it must have a vent system that pulls the odours outside of the house. While a dedicated ventilation system is necessary for safety and air quality in your kitchen, you can also ensure proper ventilation by adding windows in key spots. In England and Wales, requirements for ventilation are contained in part F – Ventilation, of Schedule 1 to the Building Regulations. You also need to have special attention to fans installation. Part P of the Building Regulations covers the installation of domestic electrical appliances. 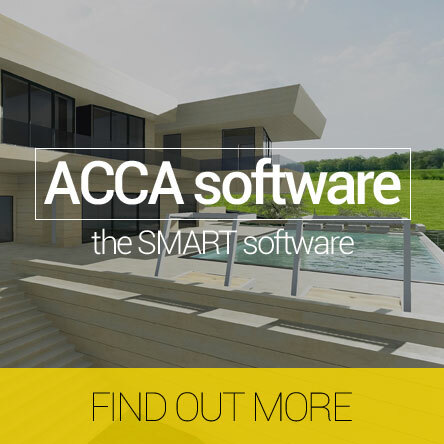 The video below shows how to address kitchen design using a BIM software in a simple and straightforward manner. 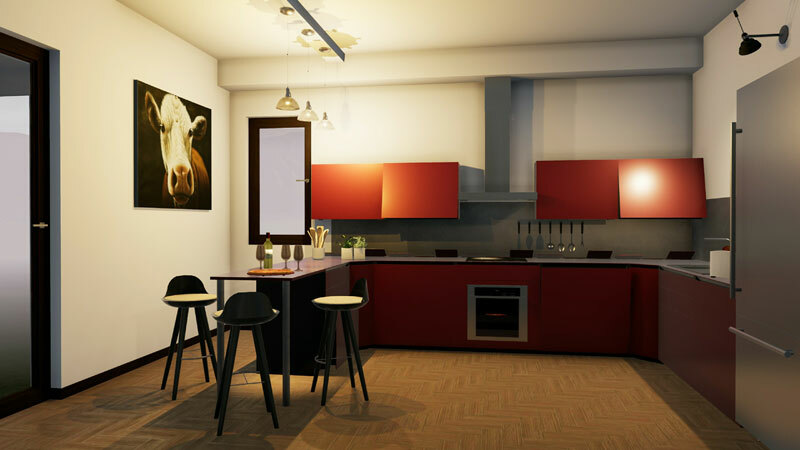 At the end of this article, you’ll also be able to download an example file including different types of kitchen layouts.